“Emerald 45 rpm record pressed 1966. This is actually the B side , a Brubeck style jazz/blues number. The A side is a pleasant orchestral piece probably written for television. To the best of my knowledge this is the only jazz 45 Kelehan issued. 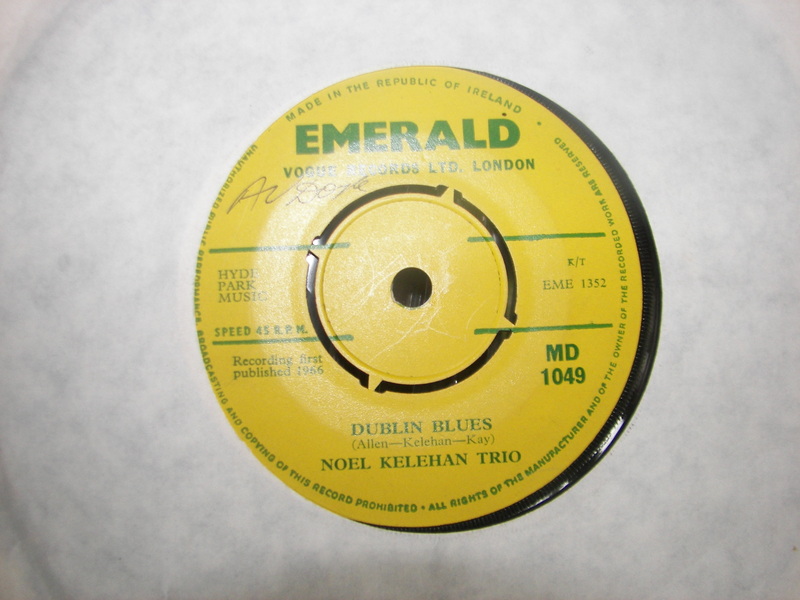 A nice item and the only Irish jazz 45 that I have ever come across. If anyone has any information about this record or Kelehan’s jazz output on vinyl or cd please feel free to leave a comment. 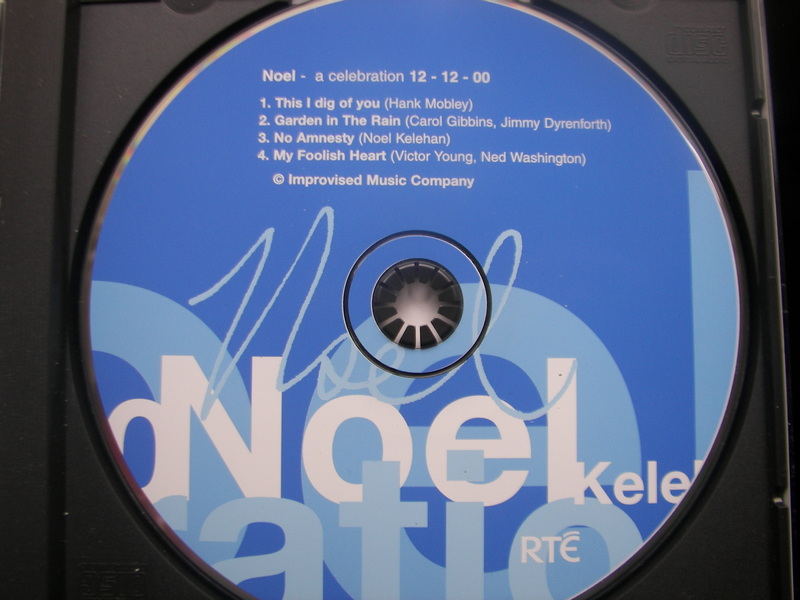 I also have a cd called “Noel Kelehan – a celebration” It was issued by RTE ( Irish state broadcasting co. ). It is a private pressing and was not released commercially. The music was recorded live in Vicar Street on 12/12/00. Lineup: Noel Kelehan Michael Buckley Peter Ainscough Michael Coady. It is a four track EP and would have had a very small print run.